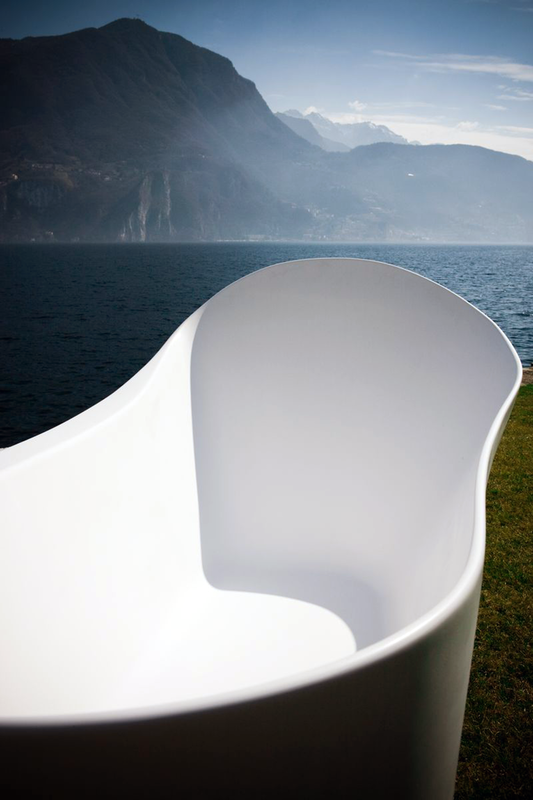 DesignApplause | Palomba collection. Laufen. 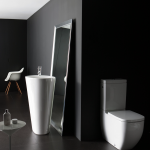 Since its introduction in 2005 the design language of the successful Laufen Palomba Collection has fluctuated between rigorous geometric and organic forms. If geometric shapes have tended to prevail in recent editions, this time round Italian star designers Ludovica and Roberto Palomba have returned to soft lines that look as if they had been fashioned by water. 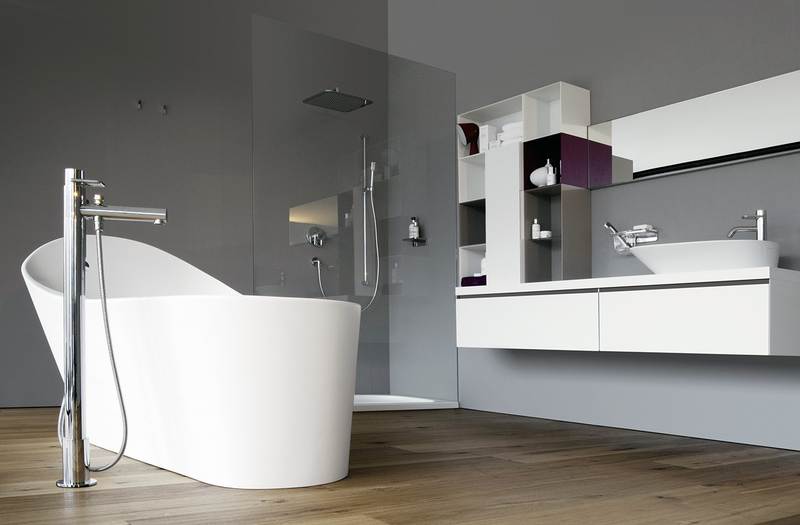 The extension focuses on the “Menhir” washbasin and an exceptional bathtub. These two leading protagonists are accompanied by a cast of four new countertop washbasins, two washbasin bowls and a new bathroom furniture collection. 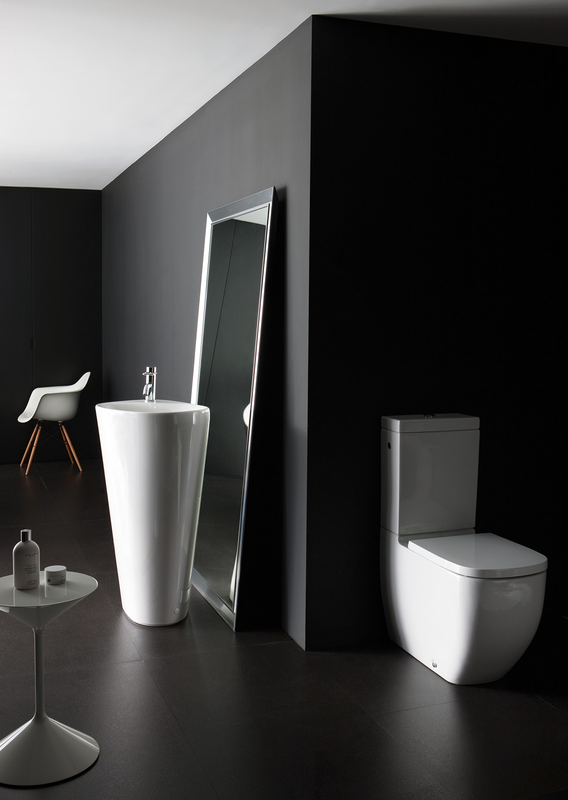 “Menhir”, which means “tall stone” in Breton, is a floorstanding ceramic washbasin available in a freestanding or wall-hung version. 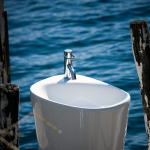 Its smooth contours recall a rock formed and polished by the tide, its bowl organically morphing into the washbasin surface. 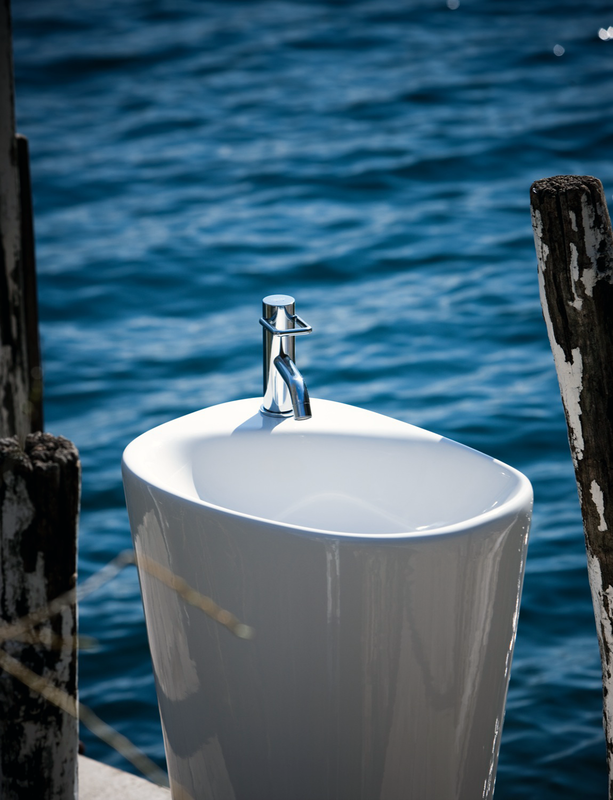 The two new asymmetrical washbasin bowls in the Palomba Collection 2012 are also organic by nature. 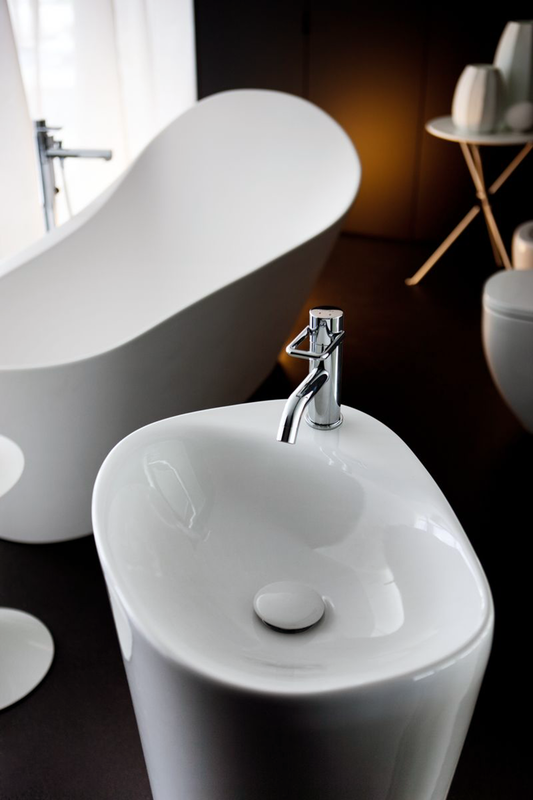 The 520 x 380 mm bowl is suitable for freestanding faucets and wall outlets as it has no faucet ledge of its own. By contrast, the 600 x 400 mm bowl has a faucet ledge. Laufen has also added four countertop washbasins in 500, 650, 800 and 1000 mm lengths matching those introduced in the previous collection editions with organically shaped bowls that blend softly, almost lagoon-like, into an ultra-flat 16 mm washbasin panel. 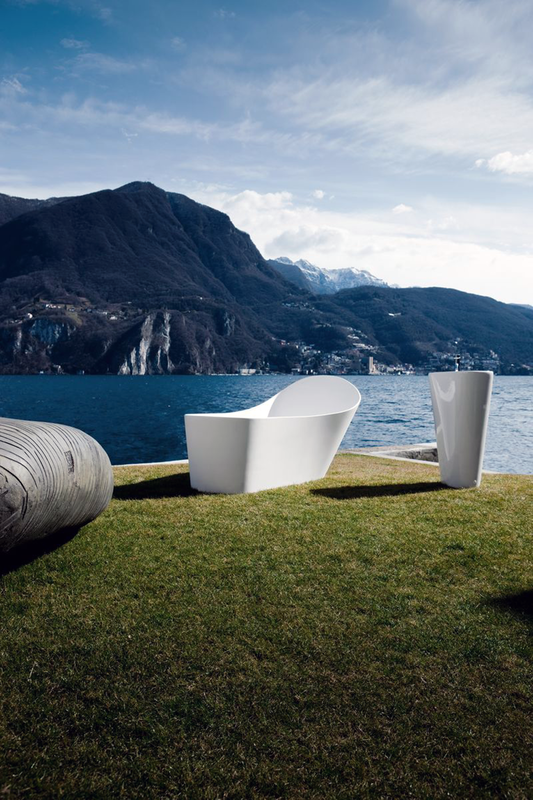 The exceptional bathtub is obviously the leading protagonist in the portfolio of the palomba collection 2012 set from the Swiss bathroom manufacturer. 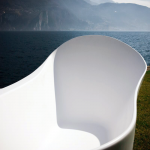 The dynamic asymmetrical geometry and high back of the new freestanding bathtub recalls a natural water basin washed out of the rocks over the millennia. These natural lines moulded to the contours of the body also promise bathing enjoyment which can be intensified by light and whirl massage functions.